For an improvised buffet or last minute aperitif snack with friends. Preheat the oven to 220°C (thermostat 7/8). Cut each slice of ham into 4 strips. 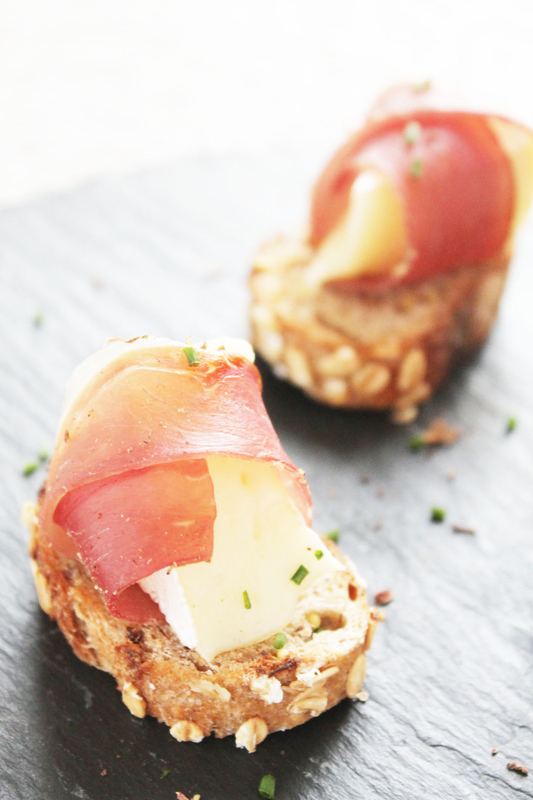 Cut the Camembert ILE DE FRANCE® into 8 portions, wrapping each one in a strip of cured ham. Cut 8 thin slices from the baguette and place one wrap on top of each slice. Pepper lightly, arrange on a baking sheet covered with greaseproof paper and bake for 2-3 mins: the cheese should just be starting to melt. Decorate with chopped chives just before serving.